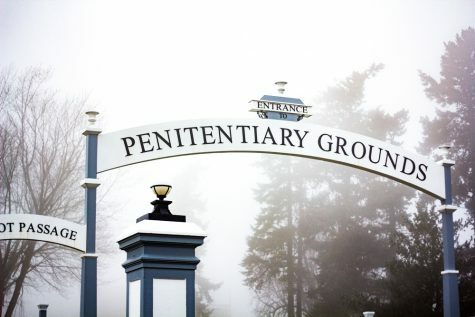 This fall, the Rhetoric, Incarceration and Civic Engagement and Incarceration class completed its final visit to the Washington State Penitentiary, a minimum-security prison near Whitman’s campus. The class is comprised of 21 incarcerated students who are enrolled in an Associate Degree program through Walla Walla Community College and 20 Whitman students. The class visits the penitentiary every Wednesday for three hours. This semester, the students focused on issues surrounding criminal justice, voter disenfranchisement, drug abuse, race, education, prison labor, overcharging and employment after prison. The course is hugely popular among Whitman students and has a long waitlist for next semester. Whitman students and incarcerated students are not allowed to have any contact outside of the visits, which makes preparing for their final project significantly more difficult. In addition to only being able to communicate during their weekly visit, incarcerated students have limited access to the internet, leaving Whitman students to tackle the bulk of the research that needs to be completed for their final presentation. “If you have a question about something you’re working on, you have to wait a whole week until you can ask it. It’s definitely an added challenge, especially in making a presentation,” junior Anna Middleton said. Middleton looks at the course as a class that just happens to take place in a prison. She tries to view the Whitman students and incarcerated students on the same level once class is in session. Jessica Kostelnik, a Whitman junior in the class, is in a group focusing on prosecution and over sentencing. Whitman students and incarcerated students approach and engage with race in a variety of different ways, which are sometimes difficult to understand. Race is a point of tension between Whitman students and the incarcerated students because race is viewed completely differently inside the prison. “Race is very different in prison than it is at Whitman … There’s been some tensions in understanding how race works inside, it’s very segregated socially, not by the prison but by the inmates themselves,” Kostelnik said. Assistant Professor of Rhetoric Studies Heather Hayes says the class is freeform because having class in a prison is unpredictable. Occasionally the class is not allowed to occur because of a lockdown or other issue. While many classes provide students with similar experiences, because the students are placed into different groups and end up being very independent, students in this class walk away with different interpretations and experiences. Due to this, the class or any experiences of it can never be exactly repeated. 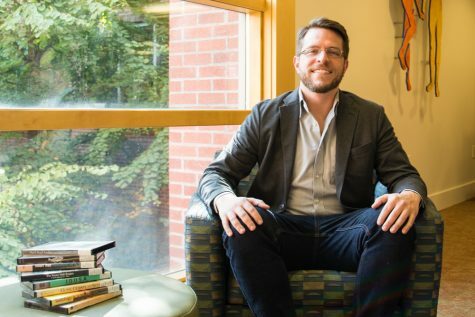 “My hope is that students in the course, as well as all of us that participate in the course, get a better understanding, [and] start asking more questions about the community that we live in,” Hayes said. Washington State Penitentiary is a “minimum-security prison”?